We’re about to whisk your children away to the world of imaginations where unicorns run free and kids can fly with dragons. 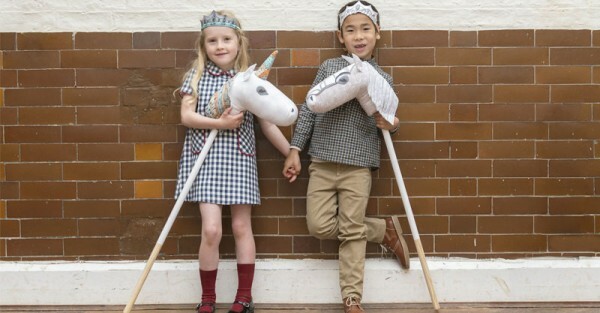 And it’s courtesy of these stunning hobby horse-style creatures made from organic cotton with white dipped wooden sticks, put together with love by Mamma Couture. Inspired by the exquisite illustrations of Laura Doff, Mamma Couture have created a beautiful collection of Enchanted Creatures, a series of elegant stick animals. 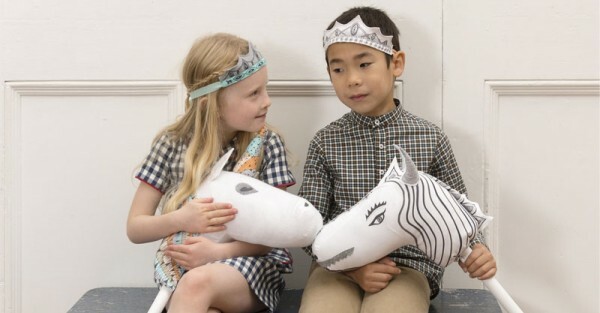 Matching crowns are available to make children kings and queens of their enchanted world. The creatures are so appealing and beautiful, they are those rare toys you’ll be quite happy the kids don’t get around to putting away. Each stick animal stands about one metre tall and will be sure to add a touch of deliciously poetical whimsy wherever it lands in your house. Happily for us Mamma Couture ship to Australia. Your Enchanted Creature will arrive disassembled and is easy reconstructed using the three step instructions. Available from Mamma Couture for £59 plus £35 postage.